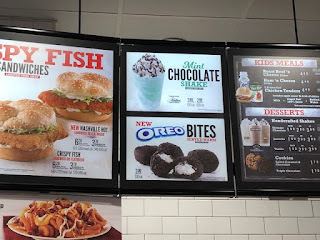 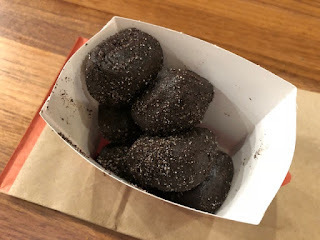 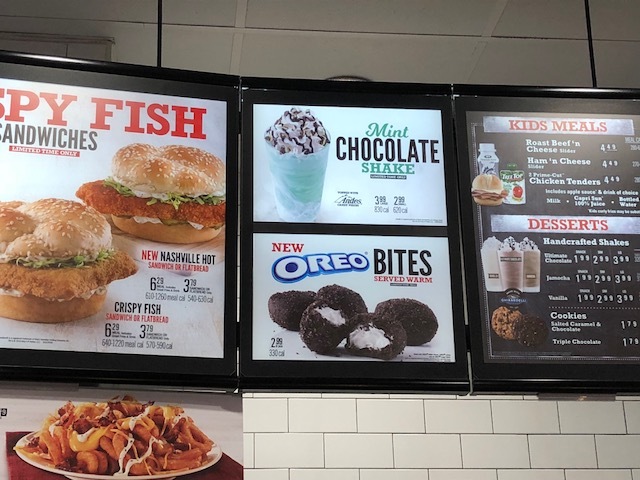 My husband texted me about new Oreo Bites at Arby's and I went to the restaurant today. 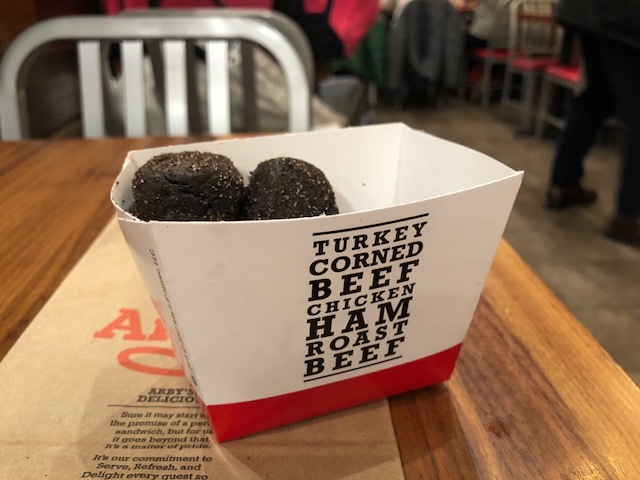 The photo my husband sent me didn't have the cream inside and to be honest, they looked like a bunch of poop in a box. 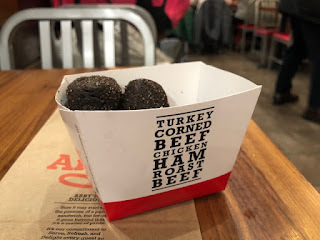 It's served warm and I saw a staff was moving these balls into this box from a black plastic container, and I think they used microwave to heat it. 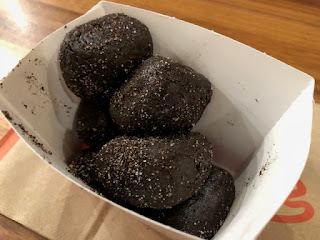 Still they looked like poop. They're chocolate donuts with Oreo pieces, filled with Oreo cream and dusted with Oreo sugar blend. They're bouncy and soft as if it's a bread. 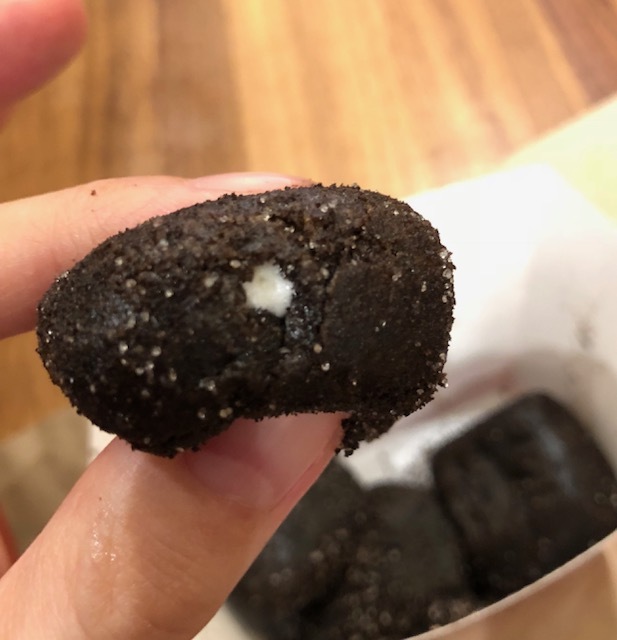 Oreo cream was oozing out but not that much was inside unlike the image shown, which was filled with lots of Oreo white cream. 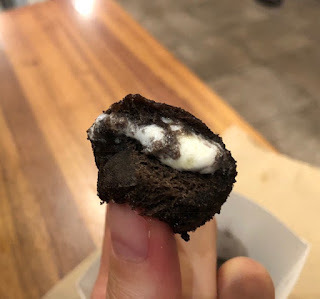 This piece didn't have that much cream like the image. 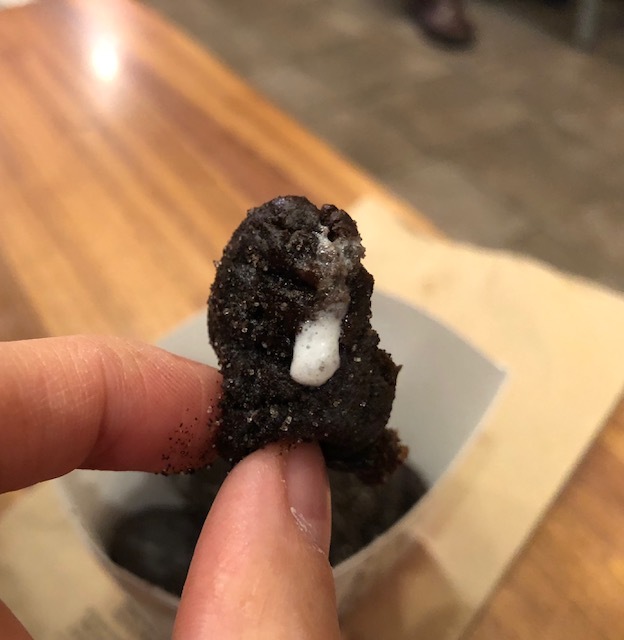 This little hole is used to inject Oreo cream. 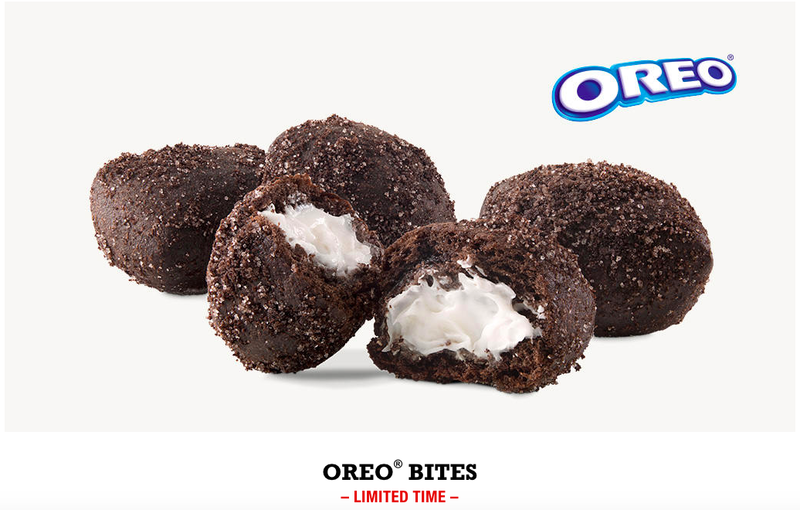 With fluffy sweet dough and crunchy sugar, it's as sweet as real Oreo though there's a little Oreo cream. If it had been filled with the same amount of cream in the image, it might have been too sugary. 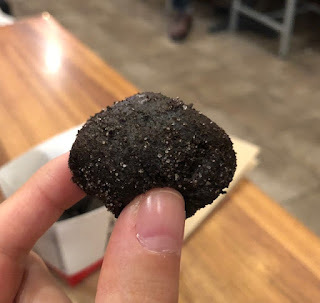 The portion and the sweetness were good for light snack.